Operating Systems Design and Implementation, 3e, is ideal for introductory courses on computer operating systems. Written by the creator of Minux, professional programmers will now have the most up-to-date tutorial and reference available today. 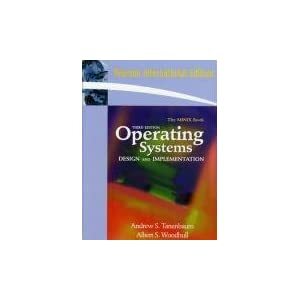 Revised to address the latest version of MINIX (MINIX 3), this streamlined, simplified new edition remains the only operating systems text to first explain relevant principles, then demonstrate their applications using a Unix-like operating system as a detailed example. It has been especially designed for high reliability, for use in embedded systems, and for ease of teaching.